A phoenix of a very special kind has risen from the ashes of one of Oxfordshire’s most famous trees – the OneOak tree. The tree, which was felled on the Blenheim Estate as part of an education project run by the Sylva Foundation, is currently being used in the making of dozens of wooden items, including furniture, buildings, joinery, arts and craft. More unusually, legendary Chef Raymond Blanc has selected sawdust and wood shavings from the OneOak tree to produce a dish using “OneOak-smoked salmon” at his Michelin-starred restaurant in Oxfordshire, Le Manoir aux Quat’ Saisons. 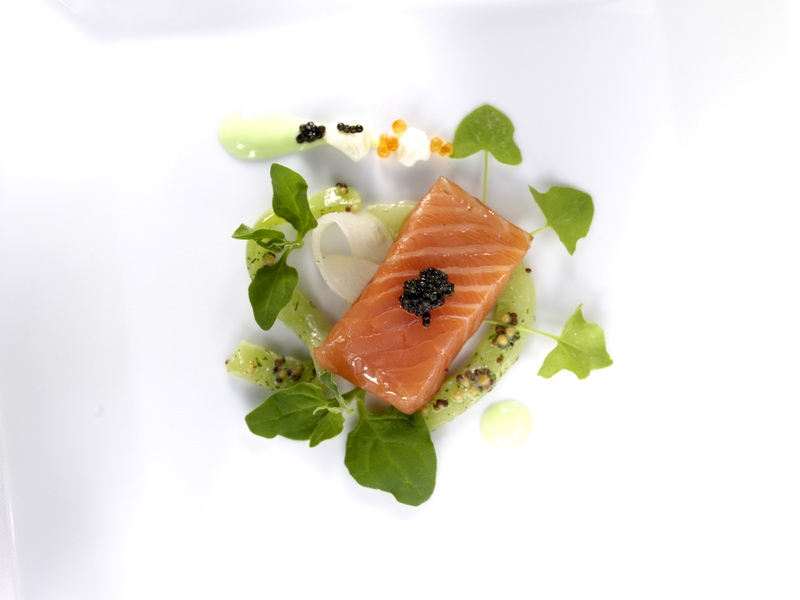 The specially ‘smoked’ slow-cooked salmon will be intermittently on the menu at Le Manoir, from April for about six months, in a dish called Slow-cooked farmed Scottish salmon, cucumber, Wasabi dressing, pickled mouli. 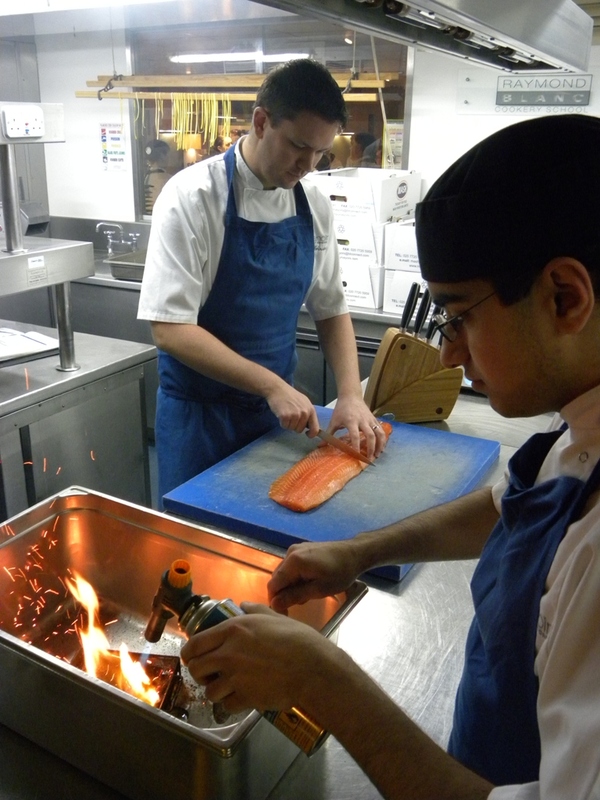 Raymond Blanc said “when I first heard about the OneOak project I was immediately impressed by the educational aims of the project, and the fantastic stories that are starting to emerge. What really interests me is how a locally-grown tree can support so many different local businesses. The fact that it is undeniably a very green project too, demonstrating real sustainability, is also very exciting. Lastly, but not at all least, it will help to create and even better dish here at Le Manoir aux Quat’Saisons!”.